Mt. Juliet, Tenn. – Mt. 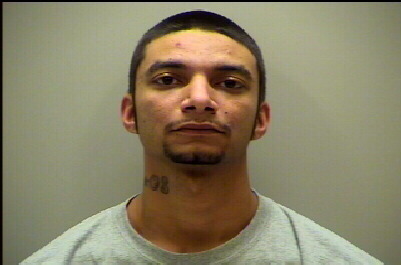 Juliet Police have apprehended a man who ran on foot from a police officer after a short vehicle pursuit. A Mt. Juliet Police officer spotted a car driving recklessly on Belinda Parkway in a residential area today around 11:00 a.m. As the officer attempted to pull the car over to make contact with the driver, the car continued in a reckless manner. The driver, later identified as Shawn Neal, 21, of Lebanon, refused to stop for the officer. There was a short vehicle pursuit before Neal crashed. Due to Neal’s speed and reckless behavior, he lost control of the car. The car hit a fire hydrant and flipped in the front yard of a home at the corner of Belinda Parkway and Alsdale Drive. After crashing, Neal exited the vehicle and ran. Multiple officers responded to the area to search for Neal. Nearby Rutland Elementary School was placed on a soft lockdown to ensure the students remained safe during the search. Mt. Juliet Police received multiple tips from the public, which led to officers searching the outside of a house in the 1700 Block of Pratston Court. Neal was located under the rear deck the house around 1:00 p.m. Due to possible injuries sustained during the crash, he was transported by ambulance to a local hospital to be evaluated. Shawn Neal, 21, of Lebanon, Tenn.